Reading has never come easy for some children, but finding the right book can change everything. Book report? Ugg, not another one. Every time I would hear my teacher telling us we had to chose a fictional book to do a report or diorama on, I would just cringe. I would spend countless hours looking through the school library for a book that would spark my interest. However, being a little girl who didn’t like to read, made it so much harder. I’d look for the shortest book possibly allowed and one that was semi interesting. But, it took me weeks to read because I just found it boring. So I would just skim through the book and pick and choose parts to write about. Then one day I came across this book of a cute little red head, pig tailed girl called Pippi Longstocking. From the moment I picked up this book I couldn’t put it down. Her stories were so funny and interesting that I’d read this book in one week or less, which was fast for myself, being that I normally would procrastinate to finish a book . Pippi Longstocking was a freckled face little girl, with her flaming red pigtails sticking out of the side of her head. Her best friends were a horse and monkey; these were two animals that I loved so much. Her mother had died and her father was lost out at sea so she lived alone and on her own with a bag full of gold coins. She was a young girl that was super strong to where she could lift her horse and was so Independent. Pippi played with well-behaved children next door, but tended to get herself in trouble. I took a liking to her because of how carefree spirited she was and the unique weird adventures she went on fighting off bandits. I always imagined how cool it would be to be her friend and experience the fun adventurous life she had. She did behave a bit rudely at times, but back then I really didn’t think about those things while reading her books. As a child I’ve always strived to be strong and independent and while I didn’t wish to have been raised without parents, I just thought back then, it would’ve been neat to not have to go to school, having lots of gold, and not being told what to do. I was so intrigued by her weird wild stories, as I too had that weird sense of humor and adventurous side. From the first Pippi Longstocking book I picked up to read, my entire book reports and diorama were based of her stories. I actually looked forward to these reports. I guess I can say it gave me more interest in my school projects, especially dioramas because I loved being creative, making all these cute figures and scenes. It made learning easier. But what helped me more was taking a liking to reading, as I couldn’t wait to read all her books. This got me on a path to reading more and more enhancing my skills. There were times I would read the books over and over again and it never got old.To this day I still have all of Pippi’s books and even bought an updated series. My boys never cared to read them, since they had their own series of books they loved more and it was more a girls book. So hopefully in the future I have a granddaughter that will love them as much as I did. For some children reading comes easy, but for others, it’s the hardest thing to do ever. It could be because they can’t pronounce words, or they have no interest in books you put in front of them, or it could very well be the actual print in a book. If the print is too small it could be hard to read the words or the thought of how long it will take to read makes a person lazy. Yep, that was my issue. I had to have large print and the book had to be of certain amount of pages. You’ll be surprised what thoughts go through a child’s mind when picking choosing a book. I truly encourage parents to take the time with your children and see what it is they’re passionate about. Keep in mind that not all children are program the same way. Here are 6 steps you can do to help your children. Find out what they like; animals, cool adventures, scary stories, poetry, find a character or something your child can identify with or that sparks their interest in wanting to read more about that topic. 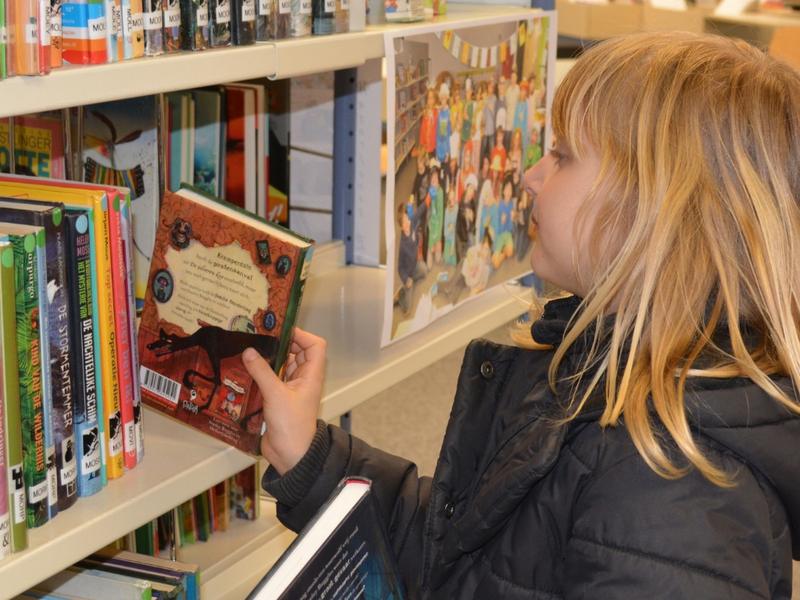 Take your child to the library or book store and help them find a book they will love. A series is always great because this keeps them reading more and more. Don’t assume they’ll like a book, children have many different personalities. What one child likes the other will not, every child is programmed differently. Having two children one was into poetry and the other into cars. Just be patient with your child until they find the right book they can’t put down. Dedicate some time to read to your child every night. Have them read back to you. The more you read to them, the more their brains will get use to hearing the sounds of words, which then will also help them with spelling. Reading helps to develop a healthy brain. When your child finally finds a book that fits their personality and sparks their interest you’ll be surprise how this will unlock their reading skills. Be a huge part of your child’s education, they’ll thank you later for it. Like I always say, monkey see, monkey do. If they see you reading, or helping with their homework, they will love it more and more and have interest in their school work. Don’t give up on your child. Some children take longer than others to find what it is they truly love. Try some story telling and acting out made up stories. These were my boys favorite times ever. I randomly would make up these wild stories of 2 sweet little bears. I would use scenarios of what happened that week or something I wanted them to do. I would roar like a bear and do funny stuff. Boy was it ever fun times and it really keeps a child’s attention. Once your children unlock what it is they’re passionate about then it will get them on a reading path that can change their learning experience and enhance their skills. Kiki is a blogger and Author of “Getting Real The Autoimmune Way" and the "Getting Real" series of books. She is also a business owner; swim apparel and handbag designer as well as a Humanitarian who loves to help others. Kiki’s mission is to help educate men and women who deal with autoimmune, on how to self-heal their guts and strengthen their bodies through proper natural nutrition.